I say the ‘D’ word so often that I hear myself and wonder if people will groan and turn away or – worse – smile politely and feel they have to listen. In my work as a radio presenter, I’ve spent much of the past two years talking about diversity. In the studio, I notice that the younger generation of creatives looks hopeful. It’s the first time they’re hearing the diversity debate happening on a national level, while the older actors and writers smile but look more weary – they’ve seen this conversation come around time and again; they have no wish to quash the hopes of a new generation, but they’re also fed up of talking about it with little actual change happening. I understand that weariness. I’ve fought to break out of pigeonholes in every aspect of my work, be it as a playwright or radio presenter; I’ve been told I’m not ‘Asian enough’ or been asked how is it that I’m passionate about 1980s and 1990s music – the assumption being that I listened solely to bhangra and Bollywood. If radio is bad, then theatre and television are worse. With the likes of Riz Ahmed, Meera Syal and Thandie Newton talking publicly about a lack of parts or the dangers of a lack of representation, there is certainly more ‘noise’ around the issue than ever before, but noise means nothing without actual results. The West End and big regional theatres, like television and radio, have a long way to go; putting on something ‘exotic’ with some ‘different’ music is not enough. Until we have productions where writers, cast and crew are drawn from all walks of life, we can’t say that theatre is diverse. But theatre also holds the answer. While we’re waiting for the ‘mainstream’ to catch up – and there is nothing wrong with diversity initiatives, we’ve got to jump start the system somehow – as practitioners, we need to use fringe theatres to get our voices out there. If we are fed up about a lack of parts, we have to write better ones. If we are frustrated about the narrative about us, we have to become part of that narrative to try and change it. 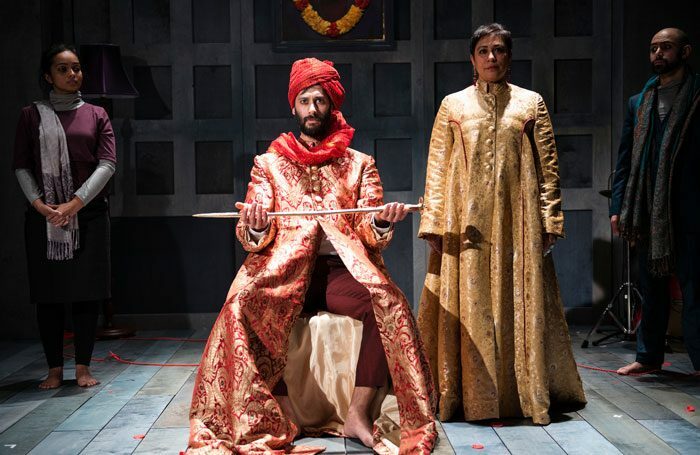 Theatre companies like Tamasha, Tara Arts, Rifco, Talawa, Yellow Earth, Graeae and Kali do sterling work in supporting new work from across minority groups, but they can not do everything. It’s time for artists themselves to break out of the pigeonholes. I’m not saying that fringe should become a ghetto of diverse productions and that we should be satisfied with that, but rather that fringe should be leading the way in the sharpest, and most truly diverse work. Use it to make your work better, louder and stronger, so that when you’re knocking on those mainstream doors, your artistic voice is defined and confident, not weary from being told you can only play a corner-shop owner or gang leader. I’ve also found that if you involve the mainstream, you’ve got everyone in the room seeing diversity in action, something potentially more powerful than yet another debate. Many of the conversations I’ve had with commissioners, artistic directors and the like has shown me that even if they want to be more diverse, they don’t know how to make it happen. I sat in one meeting and was told, “We don’t know how to interface with your community.” I’m not sure how to ‘interface’ with it either, or even what specifically ‘my community’ is. But this is not about assigning blame, it’s about understanding how difficult some of these gatekeepers are finding this and then working to help change that. The long term answer is, of course, for those gatekeepers to be more diverse themselves, but until then, whether we’re different because of gender, race, or class, we have to lead the way. It’s perhaps tiresome to think you have to be both writer/actor and producer, but it’s much more empowering to get out there and put work on than it is to wait for the slow-moving mainstream to make any kind of turn. Whatever your difference is, make it your virtue. If you don’t want it to define you then that’s great too – if you’re going to be in any kind of pigeonhole just make sure it’s one you’ve made yourself. Come and join me in mine, there’s a good chance I’ll be blasting some 1980s and 1990s tunes. Mark Shenton: If subsidised theatre isn’t diverse, then who is it for?